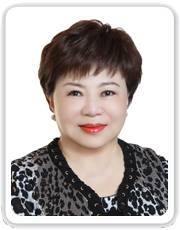 Since its inception, the GFCBW has been a global organization exclusive to the Chinese businesswomen from around the world. Attracting members from all fields, it has provided a unique platform for networking and information exchange. Our members actively participated and contributed to compatriot activities, charity events, and international affairs. Our sisters continue to broaden their scope of visions and values in life through their sense of women empowerment. We have witnessed nine leaderships passing on and leading the excellent traditions of the GFCBW. These wonderful women led the way, make contributions and sacrifices, and assumed many of the responsibilities in the global and in the local chapters alike. New and old blood continue to bond together, as we display our unselfish love and devote our time and resources to charitable and humanitarian causes. Our organization has garnered unparalleled attention and support as we continue our growth worldwide. Creating the necessary innovations and changes, our sisters have also improved the organizational structure of GFCBW, to keep with the evolving world. We respect and honor our rich traditions, and yet we treasure the new changes as well. The annual global conferences, the educational seminars, the public affairs events, the “Hua Kuang Award” and the “Exemplary Couple Award” ceremonies, have given our sisters always something to look forward to. The Tenth global Chairwoman-Elect, Alice Liu, is a hard-working well-liked leader that I personally know well. The vision and the prospects that she and her leadership team bring surely will take our organization to another level. I as well as many of our sisters vouch our unwavering support to her and to our wonderful GFCBW. May we all be blessed under her new leadership that GFCBW continues to serve as an exemplary model for a global business women organization.